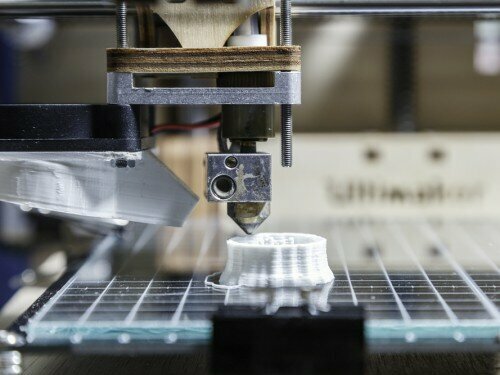 For years, the biggest barrier to 3D printing was its price. Professor Jeng Ywam-Jeng of Taiwan Tech is working hard to change that through his smartphone-powered 3D printer that costs an affordable $100. This sounds almost as unbelievable as the concept of 3D printing itself, but it’s very real. The light from the smartphone powers the machine, working just like the real deal, curing and shaping resin into the desired object. This creation goes hand in hand with a convenient smartphone app designed to help synchronize the screen with the motor, and to load and print the models. “We’ve tried to 3D-print a hollow ball and achieved layer thicknesses of about 100 microns. And there’s no need to enclose the printer in a dark box; just to shut the lights off in part of a room,” Jeng explained. Jeng hopes for this process to get even cooler, including a scanning feature that allows users to scan a 3D object before inserting their smartphone into the machine and printing the object right out. There’s only one downside to this creation, and that’s its speed. Unfortunately, it isn’t the fastest process. The light from the smartphone isn’t powerful enough to print at the rate we’re probably expecting. However, that’s a small price to pay for a slice of what we once thought was the very distant future.